Greetings to all, members and partners of the Atlantic Used Oil Management Association. Following various meetings and discussions with the Members of the board and the Communications Committee, we came to the conclusion that it was essential to change the brand name and the brand image of the association. A clearer, easier to memorize name was therefore found. SOGHUOMA becomes UOMA Atlantic-Atlantique. The new image includes among other things, the creation of new logos, the updating of all official documents and company pages on Facebook and Linkedin. In addition, promotional banners used at events and trade shows will be created. Finally, a new UOMA-Atlantic website is accessible at the following address: uoma-atlantic.com. A television and web advertising campaign will be launched in November incorporating our new image. 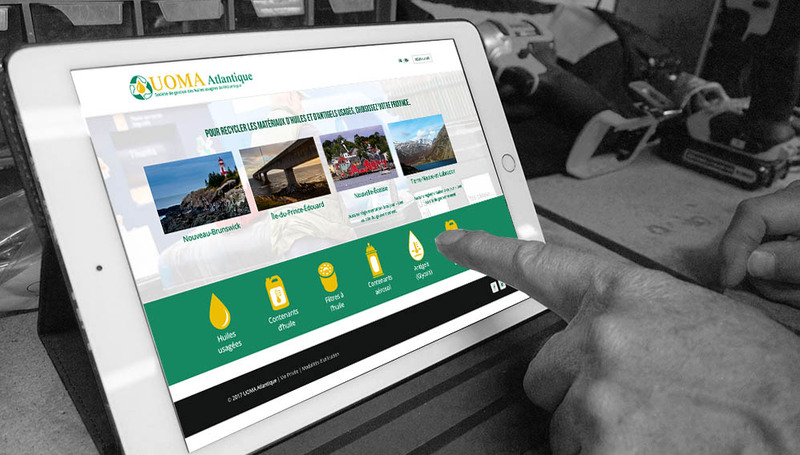 For the Atlantic Used Oil Management Association, we believe that this new tradebrand name will capture the attention of the population and will be easier to memorize. For more information, do not hesitate to contact us at 1.833.221.8662 or visit our website at : uoma-atlantic.com.